In the last decade, we have heard lots and lots about asbestos and the harmful effects it has on us, and in particular, those people who have worked with asbestos in the past. 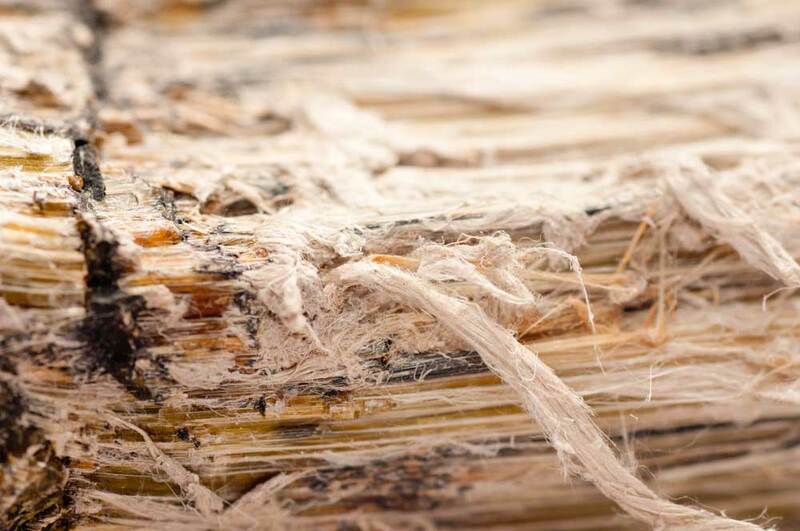 Although there are understandably many negative connotations to do with asbestos, it hasn’t always been the case and asbestos started life out on a pedestal in the height of the industrial revolution. Asbestos is a word which refers to a group of naturally mined for minerals; it comes from the Greek language and its translation is ‘inextinguishable’. It was first used in the 1800s and rose to popularity in the UK industrial period because of its strength, flexibility and fire resistant qualities. It is a material that, unlike many others, can be woven. Because of its versatility, it became known in many circles as the ‘magic mineral’. 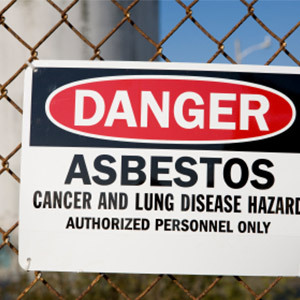 Dust comes from asbestos which can be released into the air and then into the lungs of those close by. It can become lodged in the lungs but lay dormant for many decades, later on turning into a serious or terminal illness such as asbestosis or mesothelioma. In the 1980s and 90s, the use of asbestos became banned or was restricted in many different countries across the world. However, as recent as 2009, there was still 2 million tonnes mined for in Russia and China who are the world’s largest producers of the material. Every year, the number of asbestos-related deaths increases. Artificial snow was created by using Chrysotile (white asbestos) because it looked so much like it. There were no real modifications that had to be made because its original appearance was so reminiscent of snow itself. Because of its ability not to melt and to be fire-proof, it was popular on film and TV sets The snow and was even used in the Wizard of Oz set in the poppy field scene. It was labelled as ‘White Snow Magic’ or ‘Snow Drift’ when it was being sold as a product. Asbestos has also been used in cigarette filters as well as make-up and talcum powder. Surgeons used to use asbestos to close incisions after heart and lung operations. Old fashioned salon hair dryers with hoods sometimes contained asbestos to stop customers from being burned. Sadly, the UK is one of the countries in the world where the incidence of mesothelioma is the most prolific. Asbestos was not outlawed until long after other many countries. Shipbuilders were amongst the people most affected by mesothelioma (a terminal form of cancer directly linked to asbestos exposure) and this was a large The Shipbuilding industry in the UK was huge at one time and asbestos was used widely for lots of different materials on board ships. Asbestos was found in engine boilers rooms and lots of vessels in the British Armed Forces; it could be found in walls; floors and ceilings inside sleeping areas and many of the people simply aboard the ship will have been exposed to asbestos. Asbestos is very heat resistant and has insulating qualities, making it also very popular for boiler and pipe insulation inside many other kinds of buildings, brake linings and corrugated roofs. Most people who die from mesothelioma are over the age of 65 in the UK, a statistic which reflects other countries’ incidence of the illness. 80 % of people who receive a mesothelioma diagnosis are men. Female deaths have increased by 65% over last decade. Often, women will be exposed to asbestos indirectly, for example, if they are in contact with clothing or materials from someone who has been working with asbestos. All asbestos substances belong to two different groups called serpentine and amphibole minerals. Chrysotile is the most common kind of asbestos and is the only kind which belongs to the serpentine family of asbestos. It is also known as white asbestos and is made up of sheets of crystals. It has been used all over the world and was mined for mainly in Quebec; its use is still permitted in some places today but has significantly declined in recent years. The remaining kinds of asbestos fall in the amphibole category and are amosite, crocidolite, tremolite, actinolite and anthophyllite. The fibres are straight and long compared to chrysotile and some experts believe that less exposure is needed to cause diseases like mesothelioma compared to chrysotile exposure. Amphibole types are considered to be more harmful but chrysolite is still just as hazardous and should be treated with the same amount of caution, according to safety experts. Known for heat resistance, amphibole asbestos has historically been used in cement, insulation, brake pads and roofing materials. Amosite is mined for mainly in South Africa and is commonly known as ‘brown asbestos’. It is used predominantly for cement and pipe insulation, ceiling tiles and thermal insulation products, electrical, thermal insulation and fire protection. The fibres are needle-like and some scientists say that exposure to amosite causes a higher risk of cancer than other kinds of asbestos exposure. Crocidolite is also mined for in South Africa as well as Australia and Bolivia, although mining has virtually stopped now. It is known as ‘blue asbestos’ and is the material used mostly for heat resistance requirements. It is considered to be the most dangerous of all the kinds of asbestos and was used on steam engines and cement and pipe insulation. Some say that the thin fibres of crocidolite make it more death causing as their fine quality allow them to be more easily inhaled. Once they are in the body, they don’t break down easily. Crocidolite was once known as ‘woolly stone’ when it was first established in South Africa in the 1800s. The fibres are curved or straight and a roughly the diameter of a strand of hair. Crocidolite can be spun into cloth and it is not as heat resistant as other forms of asbestos, so is not as useful in manufacturing. There are serious health risks presented to crocidolite miners, with close to 20% of dying from mesothelioma; those who live close by to the mines are also at risk of getting the disease. Tremolite has been used commercially for many different products in the plumbing trade and building trade, for example, paints and roofing materials. It is a form of amphibole asbestos that is heat resistant and strong and it too can be woven into cloth. In terms of colour, it can be grey, brown, green or white. It is found in different minerals including talc and vermiculite. Vermiculite expands when it is heated and has therefore been popular industrially as a form of insulation. Because there can often be large quantities of tremolite in this mineral, there can be a risk of asbestos exposure. Many vermiculite products still contain asbestos today, although some of the mines have been shut down. Vermiculite has been used as a soil conditioner; loft insulation; plasterboard; spray on insulation and whitewashes. Anthophyllite Asbestos is also known as grey asbestos and is one of the rarer forms of the substance. Although there is a link between anthophyllite asbestos and mesothelioma it is not considered to be as much of a risk as other forms of asbestos. 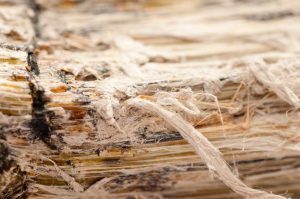 Studies show that asbestos illnesses developing from exposure to this kind of asbestos are far less as prevalent than others. It was not used as predominately as other asbestos materials in terms of commercial use. It began being mined for in Finland in the late 1800s and it has been known to be present in talc. Actinolite Asbestos can be found in contaminates but not used commercially> It is usually dark in colour but can also appear white, grey, blue brown or green in colour. Similarly, it can also appear to be brittle or dense. It contains calcium, magnesium, iron, oxygen, silicon and hydrogen. Actinolite is used mainly with vermiculite and together they may light-weight insulation. It can still be present today in some buildings and has previously been found in paints, toys and sealants. In 1924, Nellie Kershaw from Rochdale died of pulmonary asbestosis; her death is the first recorded case in medical literature. At the time, her employers said that her death was not because of her exposure to asbestos because asbestosis was not a recognised disease. There was no compensation given to Nellie or her family, despite the landmark case. However, because of the results of the inquest into her death, there was an enquiry by the government and a subsequent formal acknowledgement of asbestos being hazardous to health. Later on, in 1931, the Asbestos Industry Regulations were published. Nellie worked in a factory in the town from leaving school, aged 12. She worked there for a further 19 years before she had to leave on the grounds of ill health. She was given a certificate of ill health when she left but was not allowed to qualify for sickness benefit as her illness was occupationally-related, even though she contributed to the scheme. She left behind a husband and son and died a pauper.